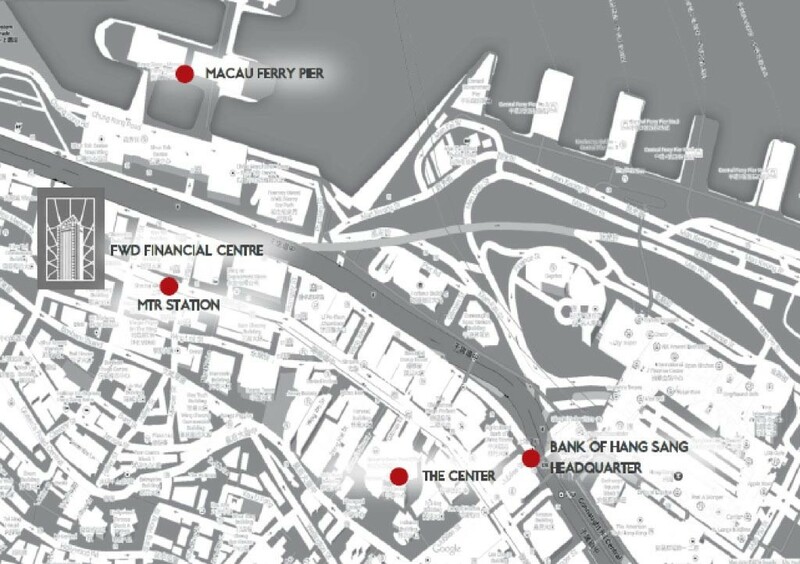 BOO – Hong Kong Business Center is located in the commercial hub in Sheung Wan, occupying the corner arround the intersecting Des Voeux Road Central and Morrison Street. The building making itself the second important business centre than Central. Only minutes away from Central, tenants of FWD Financial Centre enjoy the advantages of its close proximity to Central, as well as the highly competitive rental rates offered by Central’s periphery. Both the Sheung Wan MTR Station and the Macau Ferry Terminal are nearby, offering superior transport convenience within and out of Hong Kong.